Yes, it’s now even easier to order those late night munchies. 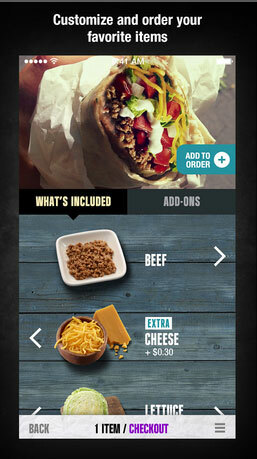 Popular fast food chain Taco Bell has just updated its iPhone app to add a unique and handy ordering function. With version 3.0, users can customize their food, place an order, and pay directly from the app. 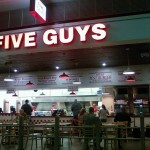 After looking through the menu, customers can quickly customize and order their favorite items. Here’s a quick promo video about the service. Click here if you can’t see it. You’ll have to pay through the app with a Taco Bell gift card, credit card, or debit card. Apple Pay isn’t supported for some reason. Once you arrive at the selected Taco Bell location, you’ll select whether to pick up the order inside the store or via the drive-thru. If you select inside the store, you’ll be able to skip any lines. Your food will only be prepared after a pickup method has been selected. And to make it easy to reorder a favorite item, simply rotate the handset. 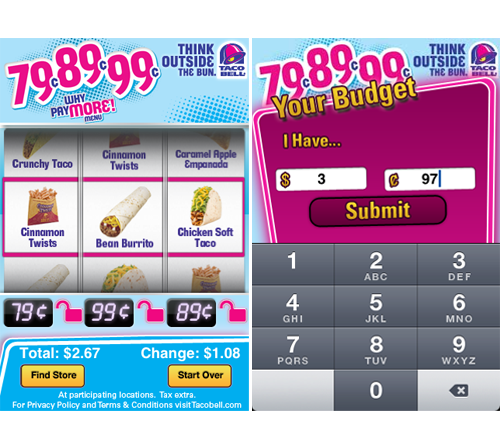 Designed for the iPhone, the Taco Bell app can be downloaded now on the App Store for free. I must hand it to Taco Bell. While I’m not exactly a fan of their cuisine, ordering through the app looks to be extremely simple. For other app news today, see: Plex app updated with iPhone 6 optimization, improved iOS 8 compatibility and more, Omega Frontier has landed in the App Store, and Multi-service photo search app PicTrove 2 Pro gains new features and improvements.